Custom wall art designer (120x60cm). Digitally printed Glass Wall Art on toughened glass or acrylic for that ultra-high gloss finish. Our custom made wall art is perfect for any room. An upgrade for your home interior. 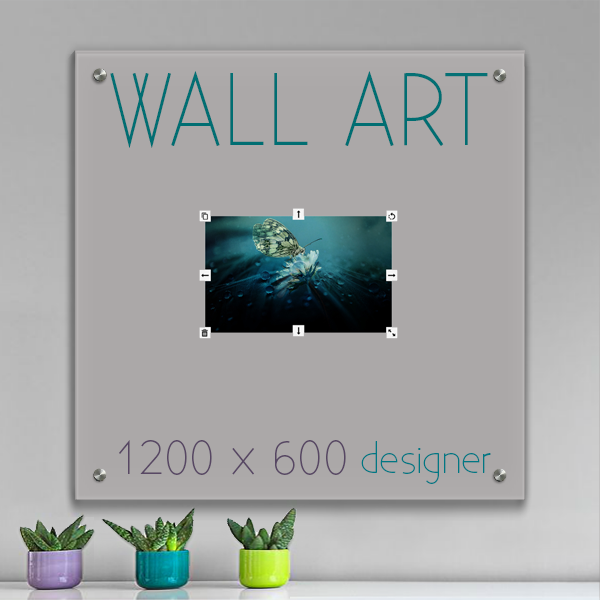 Can be mounted alone or with other wall art for a gallery stylé feature wall. Makes a fantastic gift. 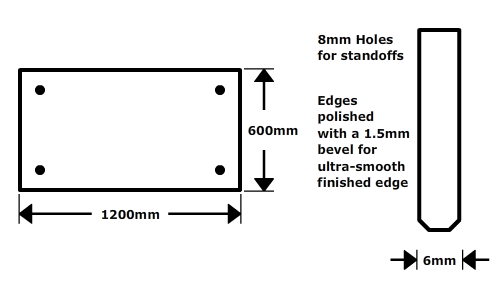 Toughened glass wall art panel edges are polished with a 1.5mm bevel. All of our printed glass wall art is manufactured using low iron glass, also known as optically clear pilkington glass. Our Acrylic, digitally printed wall art comes with polished edges. Generally it takes around 5-7 working days to produce and deliver your custom made wall art. Sometimes there may be a slight delay if there are any issues or holidays. Low iron glass has, as the name suggests, has a low iron content (not completely iron free)- so generally speaking colours viewed from the front of the glass are more or less the same as colours on the back. However, as the colours and designs are on the rear of the glass there can be differences in colour due to light refraction and reflection i.e. the colour can be affected by the colour of the light in the room. Acrylic is easier to scratch than glass and should be cleaned with a high quality microfibre cloth and soapy water only. You can not use chemicals or any abrasive cloth. For comparison: You can clean toughened glass with wire wool. 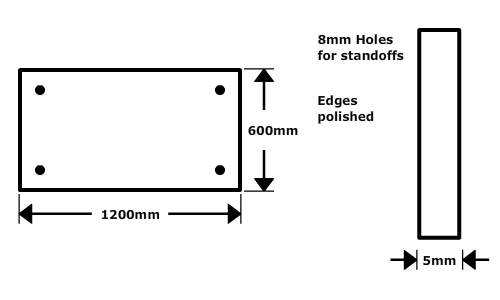 The stand-offs we provide are for 8mm holes. They are chrome and cylindrical in shape. Other glass standoffs can be used if you prefer. Just make sure they are for 8mm holes.